With the increasing competition in the mobile industry, Asus is doing its best to meet all the ends and expectations. Asus Zenfone 4S review depicts that the appearance and design of the phone are much better and extraordinary than it was expected. The device is said to have a good combination of display, processor & battery. 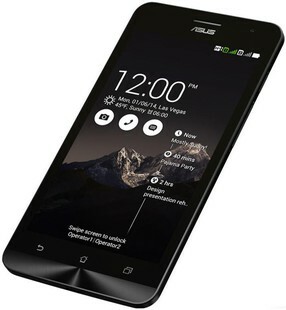 Asus Zenfone 4S specifications are one of the most-awaited details of any phone in the year. With many features incorporated in the phone making it the best, the phone is said to have a multi-touch function, with a great processor and display. The phone has an IPS technology display and is also protected with Gorilla Glass 3. With all the amazing features, it also bears some disadvantages; such as its battery is non-removable and the camera is still not expected to give much satisfaction. The mobile does not come with updated Android version. The mobile is not equipped with light sensors. Asus Zenfone 4S is said to use two Intel Atom Z2520 core processor with 1.2 GHz Dual Core CPU with Power VR SGX544MP2 GPU and 1GB RAM. This is one of the most powerful processing systems one can get at this price range, which will enable the phone to operate smoother just like any high-class phone. The phone functions on Android version 4.4.2 (KitKat) allowing the functioning of demanding game and application to be done easily and smoothly with the processor. Asus Zenfone 4S camera review is the simplest thing to tell about the phone because of its amazing features. It has an extraordinary 8 Megapixel primary camera on the rear and a 0.3 Megapixel front shooter for selfies. 3264 x 2448 pixel capability helps in enables in seizing the moment with the amazing clarity and enhanced features of the phone. Hence, Asus Zenfone 4S camera is one of the most brilliant cameras with balanced and excellent clarity. Other features include LED Flash, Touch to focus, Geo-tagging, Autofocus, face detection as well. Asus Zenfone 4S display is designed with a 4.5-inch touchscreen display with a resolution of 480 X 854 pixels at a PPI of 218 pixels per inch. It measures 36.8 x 67.9x 11.3mm (height x width x thickness) and weighs 134 grams. It supports multi-touch feature, accepting up to 10 touches at a time. Asus Zenfone 4S comprises of 8GB of internal storage that can be expanded up to 64GB via a microSD. Asus Zenfone 4S battery capacity is about 1750 mAh Li-Ion battery. Thus, Asus Zenfone 4S battery life delivers at least 8 hours of talk time but unfortunately, the battery is cannot be removable. Asus Zenfone 4S price in India is estimated to be around INR 12,999. The phone is filled with features like amazingly built camera and excellent touch. But as compared to other phones in same range, Asus may lose the market for this phone. Asus ZenFone 4S full specs and reviews as of Apr 2019. Buy it here!